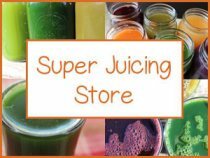 Super juicing is the practice of consuming fresh, raw cold-pressed juice from organic fruits and vegetables as an energizing morning drink, ingested throughout the day between meals or used exclusively for a number of days in a row to facilitate the body's own cleansing process. The nutritious, colorful super liquid that results from pressing whole juicy foods through a juicer can offer a tasty way to take a break from solid foods, improve digestion, clear up skin issues and further encourage better eating habits. Juicing is becoming very well-known in today's modern world as an easy way to immediately increase nutritional uptake, boost immune health and lift one's mood. 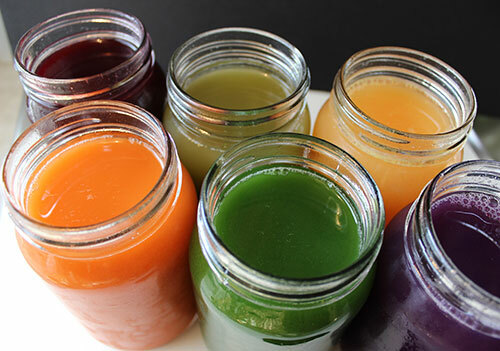 Vibrant and richly pigmented juices are now available to a large degree all over the world in cafés, coffee shops, health food stores, juice bars and you can even find juice cart vendors these days on New York city street corners. While it is convenient to buy raw juices for those with a busy active lifestyle, making juices at home is also an alternative for those who prefer to be more in control of the ingredients used for personal taste or desired health goals. This can either involve making straight green juice or concocting your own rainbow of juice blends, choosing from the plethora of tree ripened fruits and vegetables. 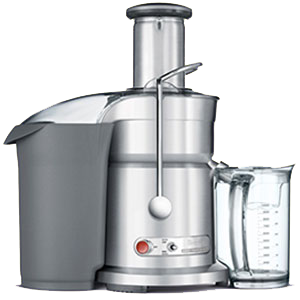 Super juicing can be accomplished with a variety of juicer models. 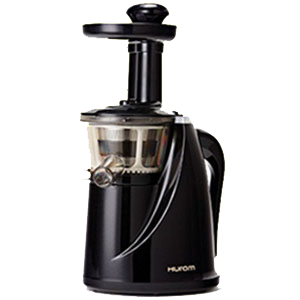 Some are fast and easy to use, juicing whole apples and carrots, while others press the juices slowly to extract more liquid and reduce the rate of oxidation. 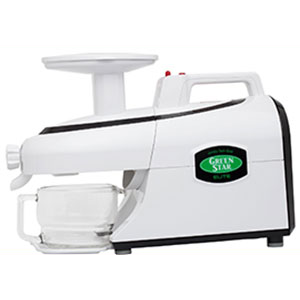 If your not quite ready to make the commitment to purchasing a juicer, it is also possible to use a basic high speed blender or NutriBullet, along with a mesh bag to separate the pulp fiber from the juice. The initial concept of consuming juice for its restorative effects started way back in the 1920's and 30's by Dr. Max Gerson, Dr. Norman Walker, Dr. John Kirschner as well as health enthusiasts such as Jay Kordich, Paul Bragg and many others were some of the first to use the benefits of juicing as therapeutic treatment for many chronic illnesses. Some of these early pioneers used ample amounts of greens in their juicing recipes and Ann Wigmore, founder of the Hippocrates Health Institute, was one of the first to discover the healing properties of wheatgrass juice, which she used medicinally with great success in her holistic health care practice. 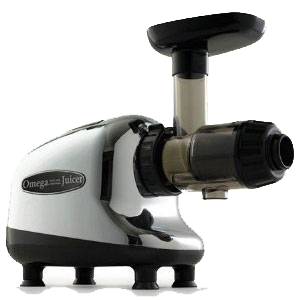 In the process of making fresh unpasteurized juice, you are essentially extracting the liquid from the fibrous portion of the fruit or vegetable. This concentrates the nutrients and immediately makes them available to the body. The list of raw organic fruits and vegetables may vary, but generally the standards are cucumber, celery, apple, carrot, lemon or lime as well as lots of green leafy vegetables like kale, collard, parsley, cilantro or any wild edibles. Additional ingredients may also include turmeric root, fennel bulb, ginger, beetroot, fresh dill, arugula, misc sprout varieties, hot peppers, red bell pepper and most any fruit in season. 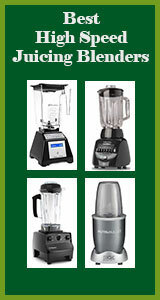 We recommend always juicing with organic produce. Simply put, you don't want a concentrated amount of pesticide and herbicide sprays in your juicing liquid as these are the kind of substances we are trying to remove from the body. Consuming only juice for a period of time frees up the digestive system, allowing it to focus on cleansing actions that can help to carry out toxins as well as remove any backup of waste material that may be overloading the colon and the liver. This is especially the case for longer periods of juice fasting, but even just a one day juice fast can work wonders, allowing the blood and lymph to do some light internal house cleaning. Incorporating daily morning juices or a one day weekly juice fast can be a helpful way to uplift the spirits and clear the mind. 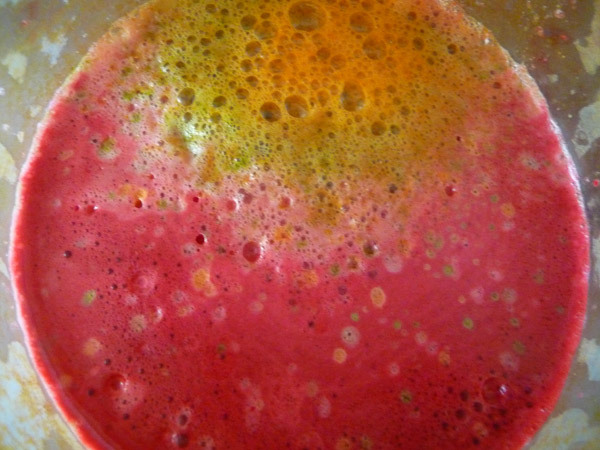 You are essentially super juicing a rainbow of brightly colored antioxidant plant pigments that will not only boost the immune system with ingredients like quercetin, carotenoids, anthocyanin, lutein and zeaxanthin, but these compounds also tend to act as natural antidepressants, increasing one's mood and the ability to access better feeling thoughts. As the live enzymes in raw fresh juices act as a catalyst for nutrient absorption, this in turn has energizing effects on the body that can usually be felt 20 minutes after drinking them. Without the fiber present, the juicing liquid is immediately absorbed on an empty stomach, providing an influx of vitamins, minerals and other phytonutrients that rejuvenate and recharge the cells. Green juices specifically increase vitamins like vitamin C, vitamin A, vitamin E and vitamin K as well as vital minerals such as magnesium, potassium, calcium and essential fatty acids, including omega-3. 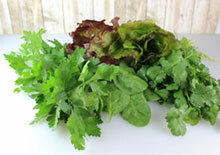 Chlorophyll is also high in iron which helps to build the blood, energize the body and prevent anemia. In a study published in The American Journal of Medicine called The Kame Project, it was discovered that "Fruit and vegetable juices may play an important role in delaying the onset of Alzheimer’s disease, particularly among those who are at high risk for the disease. These results may lead to a new avenue of inquiry in the prevention of Alzheimer’s disease." Raw fresh juice is pure, concentrated, living liquid food, minus the fiber content and offers a mini vacation for the entire gastrointestinal tract when consumed solely for a period of time. Even a short juice fasting session can help to reboot the digestive system, allowing it to work on the release of undigested waste material and excess mucus, rather than the normal everyday processing of solid fibrous foods, fats and proteins. 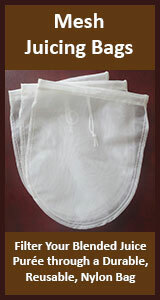 This can naturally assist in the elimination of gas, bloating and further encourage healthy bowel movements. Juices can not only be an effective way to detox the cells and tissues, but they additionally help to balance body pH, increasing alkalinity and neutralizing acidity in the bloodstream. Ideally, pH levels should be somewhere between 7 - 7.4, the range that provides for a greater ratio of friendly flora in the gut and colon. As we mentioned, super juicing throughout the day or exclusively for a certain period of time is very purifying to the blood and lymphatic system. This is especially the case when using raw, organic green leafy vegetables and low sugar fruits and vegetables. Sometimes we consume or take in more toxic substances faster than the body can effectively eliminate them, so it's helpful to assist the liver, kidneys, lungs and skin in the detox process. Freshly pressed green juice is very high in chlorophyll content, a natural detoxifying antioxidant that helps to remove toxins from the blood and enhance blood oxygen capacity. Consuming concentrated amounts of chlorophyll-rich juicing liquid has the ability to bind to and flush out various harmful chemicals, pesticides, plastics, radioactive isotopes and heavy metals, like mercury and lead. An infusion of green juice in the morning or throughout the day between meals will help the liver more effectively to its job as some of the surface toxins are removed from the bloodstream. 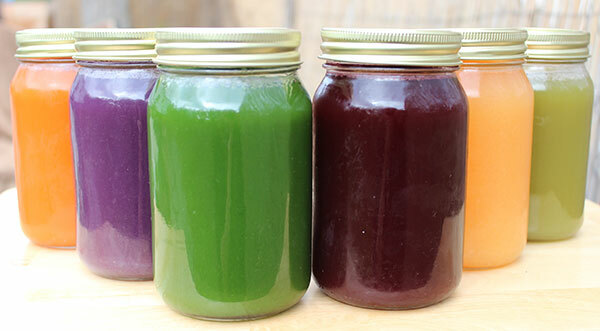 Periodic juice fasting, between 1-7 days or longer, can be extremely beneficial to the body several times a year and helpful for eliminating deeper toxins stored in the organs, tissues and body fat. The effects of wheatgrass juicing or green juicing, in particular, can help relieve inflammation in the body and decrease the risk of associated health conditions, like high blood pressure, cardiovascular disease and arthritis. In research conducted in 2012 it was established that "chlorophyll is a valuable and abundantly available anti-inflammatory agent and promising for the development of phytomedicine or conventional medicine to treat inflammation and related diseases." Many people experience the feeling of being completely satisfied drinking only living juice as a meal replacement or for many days in a row. The reason for this is because the body is receiving a concentrated amount of liquid nutrients that give you a feeling of fullness as you are being nutritionally satisfied. This is why juicing for weight loss can be an effective and fast way to retain your "natural body weight", offering a nourishing yet filling substitute for other foods. Super juicing additionally helps to prevent overeating and encourages healthier food choices further down the road. When juice fasting to reduce excess body weight, the initial cleansing period can sometimes bring up unhealthy cravings as toxins are being released into the bloodstream. But these occurrences are usually short lived. Once you move past them successfully, the juicing experience can break the cycle of bad eating habits that frequently leads to weight gain issues. In addition, ingesting nothing but juice for many days in a row helps to reset the taste buds, so when you go back to regular meals simple whole foods start to taste delicious, the way they are supposed to. Alkalizes the Body - balances colon pH and enhances mental alertness. Eliminates Toxins - chlorophyll helps to bind to harmful substances and remove them from the body. Boosts Immune Response - through cleansing actions and powerful antioxidant-rich nutrients. Improves Digestion - helps to removed undigested waste and promote healthy, regular bowel movements. Energizing to System - super charges the cells with high quality mineral-rich liquid. Hydrates the Body - contains structured water, allowing for increased hydration on a deep level. Good for Weight Loss - promotes the reduction excess weight and the fat that stores toxic waste material. Replenishes Enzyme Activity - enzymes from juices help to efficiently break down excess waste trapped in the intestinal tract. Good for Weight Gain - helps to cleanse the body and allows for greater nutrient and protein assimilation for building muscle mass. Juices can be incorporated into the diet in a variety of ways. 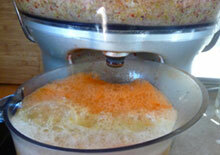 A simple approach is to start juicing your own raw produce as the first "meal" of the day. Drinking a glass of fresh juice first thing in the morning can help to boost your natural energy levels so you might be less inclined to resort to caffeinated stimulants. You can continue to drink juices throughout the day, but it is best to do this between meals on an empty stomach for optimal absorption. 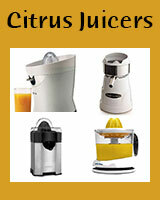 After you get accustom to juicing, you might want to try a short 24 hour juice only day. This might be suitable after certain holiday festivities or other celebrations that involve heavier rich foods and alcohol indulgences. Over time, as you experience the juice fasting process, longer juice fasting periods could be necessary to promote deeper cleansing effects on the body. 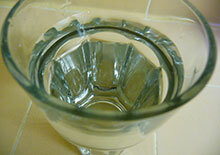 Depending on your unique situation, sometimes a medically supervised pure water fast might also be appropriate after a period of juice fasting. Keep in mind that consuming juices with a low glycemic index, using less or no high sugar fruits or vegetables, is best for diabetics or those with candida overgrowth. Juicing can not only be a fun and easy way to provide extra vitamins, minerals and enzymes, but there are many juice recipe combination's that also taste amazing. 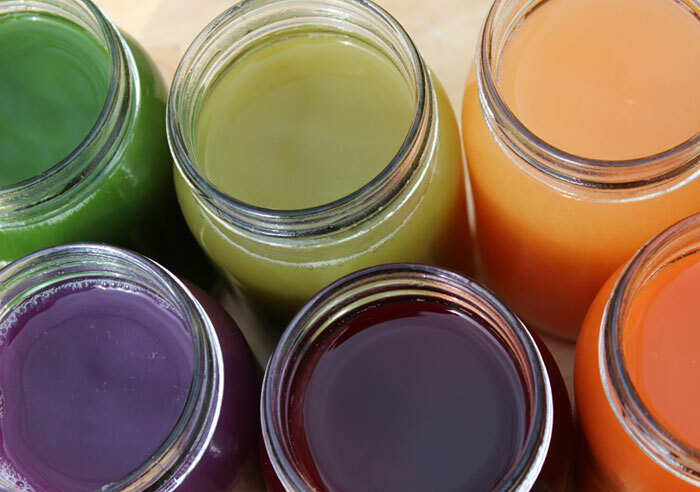 Visit our basic juicing recipes page to get you started making your own fresh, raw, organic rainbow of juice blends that will add vibrancy and color to your life, from the inside and out. It is important to always seek the advice of your medical doctor, before deciding to do any kind of cleansing program, especially if you have major health issues. There are a number of juice fasting centers around the world that can help facilitate your fasting journey, some of which are specifically designed to provide a supportive, nurturing environment for the healing of acute or chronic health conditions and serious diseases. Before juice fasting, always seek the advice of your medical doctor if you are taking prescription medications or have a serious life threatening illness. Avoid juice fasting if pregnant or breastfeeding.